Image Processing Component for React. react-imgpro is a image processing component for React. This component process an image with filters supplied as props and returns a base64 image. This also depends on react so make sure you've installed it. The UMD build is also available via jsDelivr. A React component for selected GIFs from Tenor. 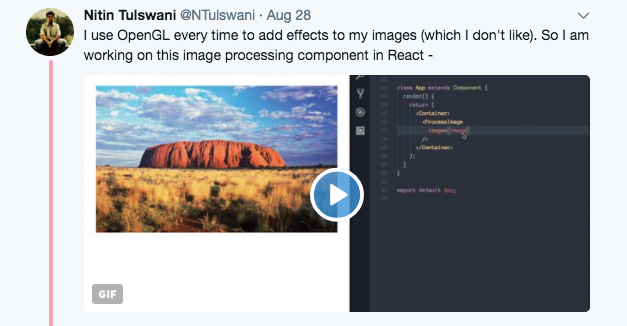 A React component that renders images using imgix. It uses the smallest images possible, and renders well on the server.